Christened Juliet, not only due to her beautifully unique love heart marking, but also in tribute to the star crossed lover to celebrate the 400th anniversary of Shakespeare’s death. 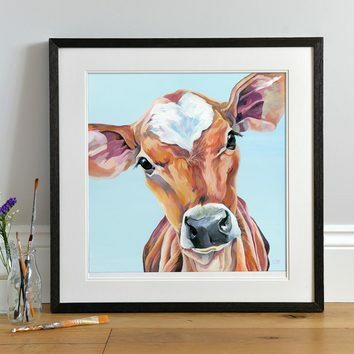 I met this beautiful Jersey Calf at the Yorkshire Show and just fell in love with a oversized ears and Bambi eyes not forgetting that adorable head tilt we all love so much. Not only does she have the face of an angel but she makes the perfect gift for a loved one to mark an anniversary, wedding, or new baby. 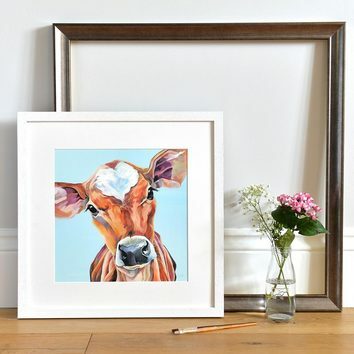 Designed at part of the 'Spring Chicken' collection, she works fantastically in a triptych with Ted and Minnie. Also available as a card and original painting. 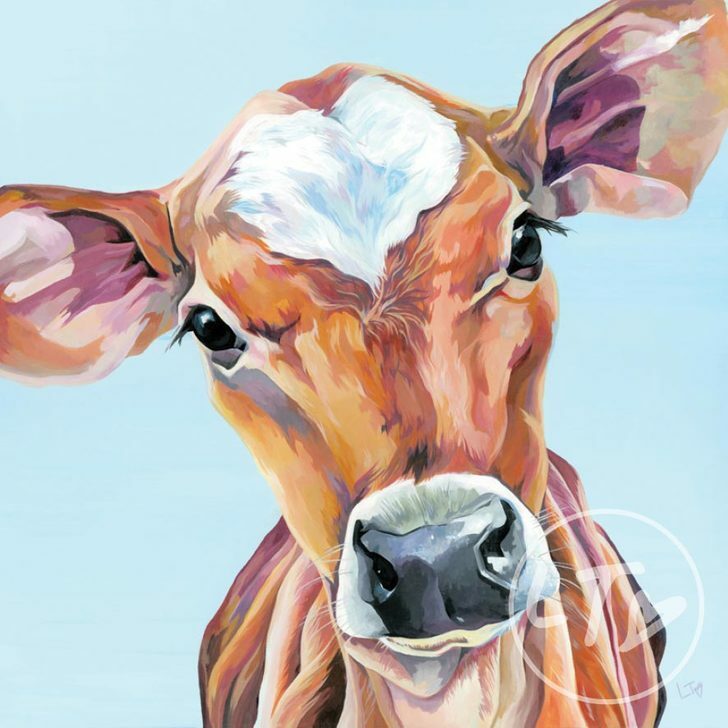 Juliet is one of my Dairy Herd of coasters and table mats.